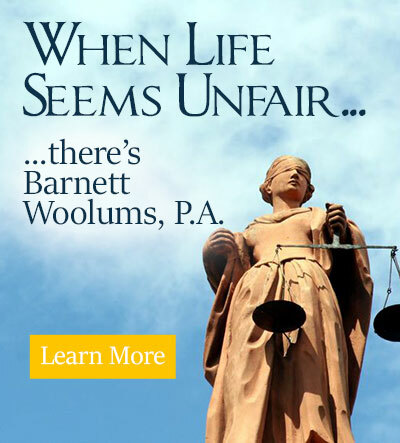 Juvenile Attorney St. Petersburg, FL - Barnett Woolums, P.A. T he juvenile justice system operates on the premise that youths are fundamentally different from adults with regard to their level of responsibility for their actions and potential for rehabilitation. You need a St. Petersburg, FL and Pinellas County juvenile defense attorney that knows how the system works. Although juveniles can be accused of many of the same crimes as adults, treatment and successful reintegration of youths are the primary goals of the juvenile justice system. Therefore, juvenile law has a great deal of flexibility built into it. We can guide you and your child through the legal process and support you each step of the way. When you or members of your family are being accused of committing a crime, TIME IS OF THE ESSENCE. To prevent charges from being filed, or to reduce the severity of any charges that are filed, it is CRITICAL that you have an attorney contact the prosecutor immediately after your arrest. DO NOT WAIT until after you receive a notice to appear in court to contact us. The outcome of your case may depend on how QUICKLY YOU ACT.